Palm Beach, FL – (October 24, 2018) – Just as the legal cannabis industry has exploded in recent years, so too has a sector that revolves around the plant’s non-psychoactive cousin: hemp-based cannabidiol (CBD). Hemp-derived CBD products continue to dominate the cannabis market as less legal restrictions allow for companies to expand new products to previously untapped consumer segments. The demand for hemp-based cannabidiol has skyrocketed, especially since a 2013 CNN report about the success in Colorado of Charlotte’s Web, a CBD product that helped a young epileptic girl control her seizures. CBD is expected to become a billion dollar industry itself and could potentially eclipse the entire traditional cannabis market, according to analysts. The Hemp Business Journal projects the industry will generate annual revenues north of $1 billion by 2020. Active Companies from around the market with current developments this week include: Marijuana Company of America, Inc. (OTC:MCOA), Medical Marijuana Inc. (OTC:MJNA), HEMP Inc. (OTC:HEMP), India Globalization Capital Inc. (NYSE:IGC), The Supreme Cannabis Company Inc. (TSX-V:FIRE) (OTC:SPRWF). Marijuana Company of America, Inc. (OTCPK:MCOA) BREAKING NEWS: Marijuana Company of America, an innovative hemp and cannabis corporation, is pleased to announce that the Company’s wholly-owned subsidiary hempSMART™ held its successful first South West Regional Event for its associates in Carlsbad, California on Monday October 22, 2018. HEMP Inc. (OTCPK:HEMP) recently announced it is featured in an article by InvestorPlace ranking the company number 12 among the top 30 stocks to buy in the cannabis sector. InvestorPlace is an online publication that provides investors with specific, daily investing advice. The article highlights the huge potential for agricultural revenues from hemp and includes comments about Hemp, Inc.’s prospective growth as states continue to legalize hemp. The article, “30 Marijuana Stocks to Buy as the Future Turns Green,” details the immense opportunity within the cannabis industry, highlighting the most promising investment opportunities. 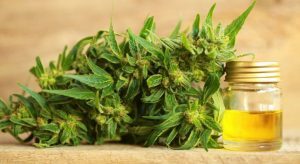 Though Hemp, Inc. is not a marijuana company but only deals with hemp, the editors decided to include it in the roundup due to the huge potential of the burgeoning hemp-derived cannabidiol (CBD) market. The article also highlights the changing public opinion on hemp, noting that the highly-conservative state of Oklahoma recently became the 37th to legalize industrial hemp production. India Globalization Capital Inc. (NYSE:IGC) recently announced that it has filed a provisional method and composition patent application (IGC-509) with the U.S. Patent and Trademark Office (USPTO) for the treatment of fatigue and energy restoration. The filing is for a provisional patent and no assurance can be given as to whether or when a registered patent may be granted by the USPTO in the future. This patent filing made on October 4, 2018, is one of a series of steps in the Company’s development and commercialization plan to support the creation of a branded, hemp/CBD sugar-free energy drink, which was previously disclosed by the Company on September 25, 2018. The Supreme Cannabis Company Inc. (TSX-V:FIRE.V) (OTCQX:SPRWF) recently announced its 7Acres subsidiary has entered into a supply agreement with Tilray Inc. subsidiary Tilray Canada. Under the 12-month agreement starting Oct. 1, which is estimated to have a value of C$12 million ($9.3 million), 7Acres will provide dried cannabis to Tilray Canada to be used primarily to support medical cannabis patients in Canada. “We are happy to provide 7ACRES premium products alongside Tilray’s well-regarded and existing lineup to support medical patients around the world,” said Supreme Cannabis Chief Executive John Fowler. Supreme Cannabis shares have rallied 37% over the past three months, while the Horizons Marijuana Life Sciences Index ETF has climbed 31% and the S&P 500 has gained 7.1%.